← The In-Depth Genealogist – Digital Magazine – Issue 10 – OUT NOW! 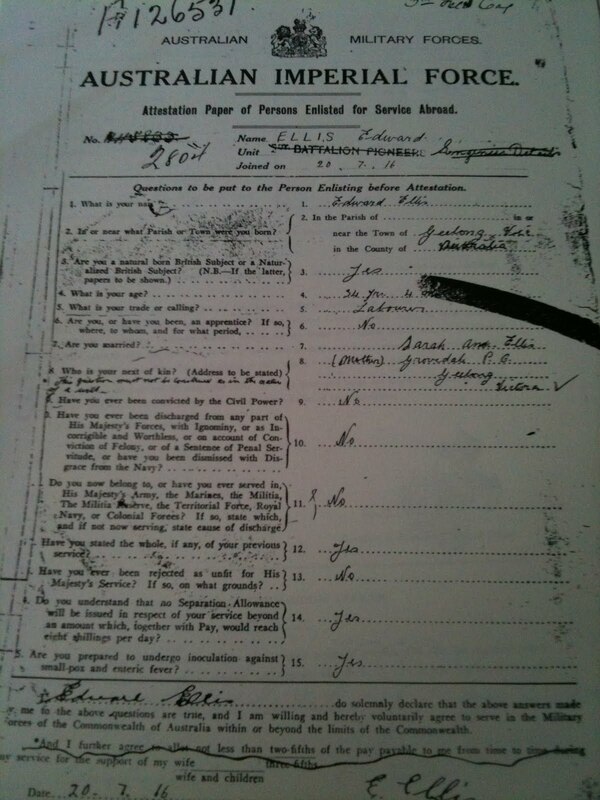 This is the document that relates to Edward Ellis, born in Geelong Victoria Australia the son of Frederick Ellis (1845 – 1914) and Sarah Ann Newton (1851 – 1923) on 3rd March 1882 and was one of 14 children. All of Edward’s siblings were born in Australia, but his father, Frederick had been born in Elstead Surrey in 1846 and was 8 years old when his parents migrated as free settlers to Geelong in 1854 on board the James Baines. 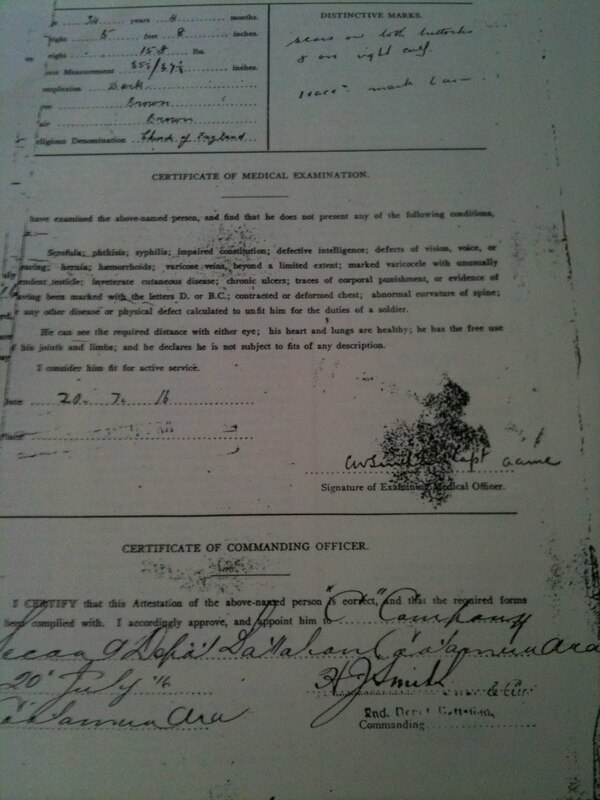 Born at Mount Duneed 3rd March 1882 and Baptised at the Wesleyan Church in Geelong 6 June 1884. A tuber player in Geelong Harbour Trust Band circa 1913. He disembarked in Devonport (Plymouth Devon England) on 9th January 1917. He proceeded to France on 30th September 1917 and was wounded in action (left leg) at Rouelles in August 1918. He was discharged in England in January 1919 and returned to Australia on board The Karoa. What was the significance of the Wesleyan Church? Why not a C of E Church? Why did he enlist in Cootamundra? It is some distance from Geelong, but is mainly farming territory. Ironically, I have been to both Geelong and Cootamundra!I spent about a week in Geelong last year and visited the various graves at Mount Duneed. He was disembarked in Devonport, only about an hour from here in the car. What other records exist in the UK? Did he know of or remember his English heritage and roots? Did he venture to Surrey to meet any of the family? Where did his life take him upon his return to Australia? This entry was posted in Uncategorized and tagged Australia, Ellis, Genealogy, Remembrance Day Photo Collage Festival. Bookmark the permalink.